Cost: Varies, depending on materials selected. Approximately $10- 15 as shown. 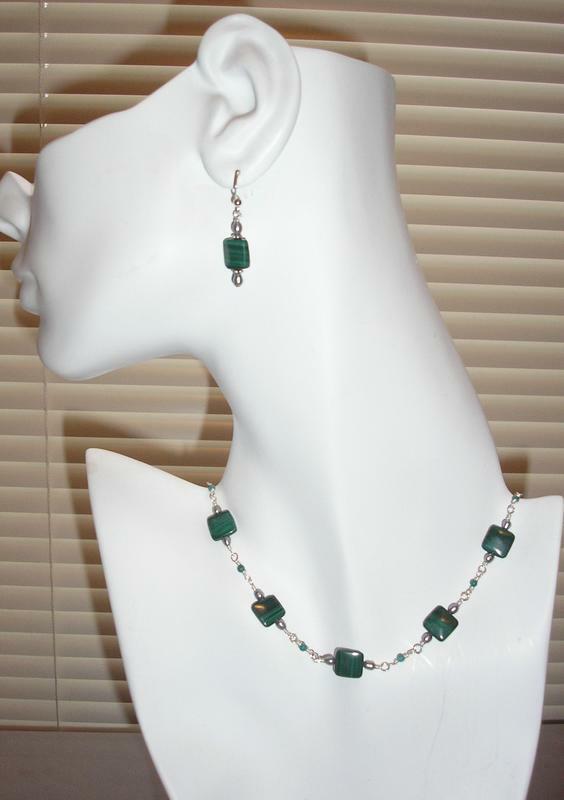 These earrings feature gorgeous green malachite stones with tiny silvery colored pearls. Simple and elegant! You can use any square beads you like to vary this design. 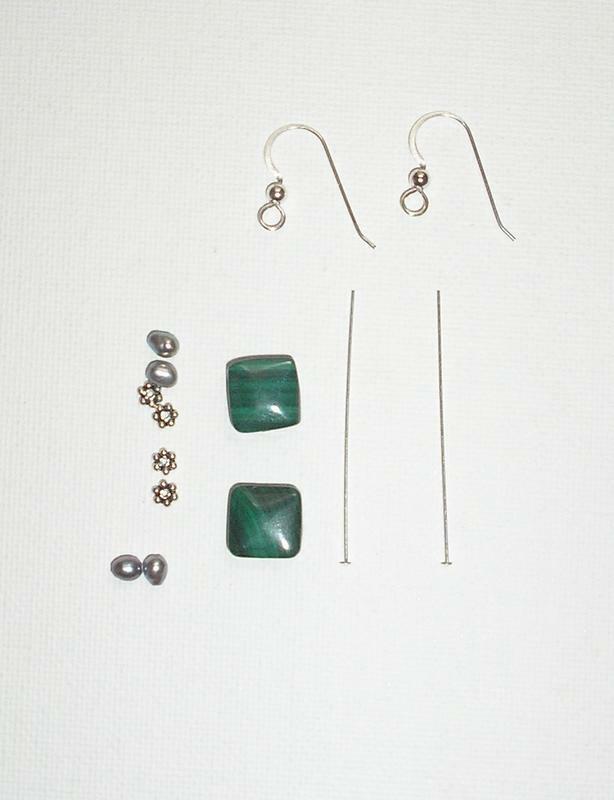 2 malachite beads. I used square malachite beads, but any beads that you like will do fine. 4 pearl beads. I used small freshwater silver seed pearls. 4 silver spacer beads. I used Bali daisy spacers. 2 sterling silver head pins (fine enough gauge to fit through bead holes). 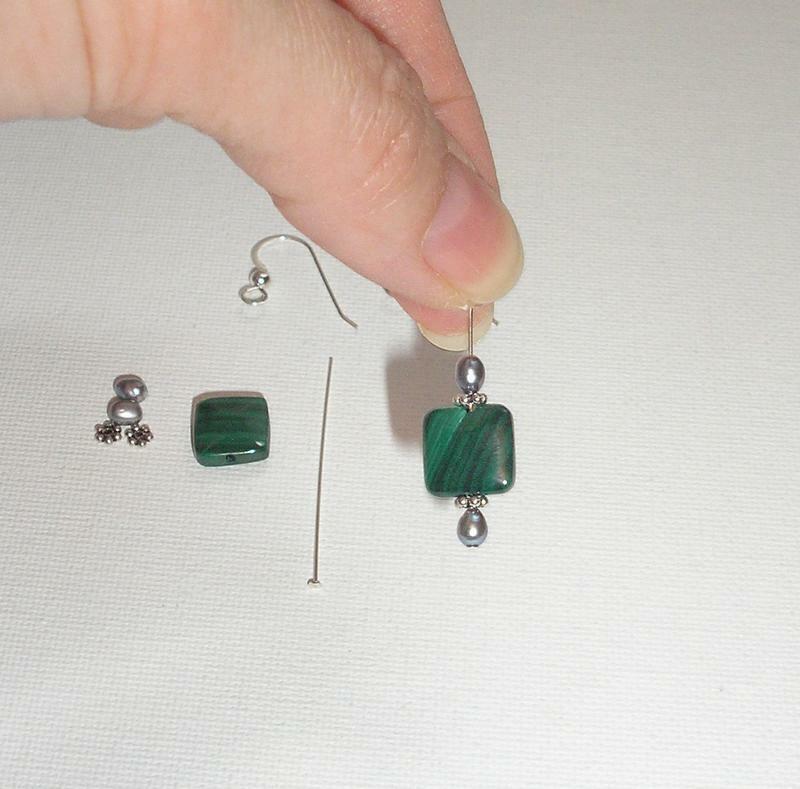 Slide beads onto head pin, and attach to ear wires. That's it! 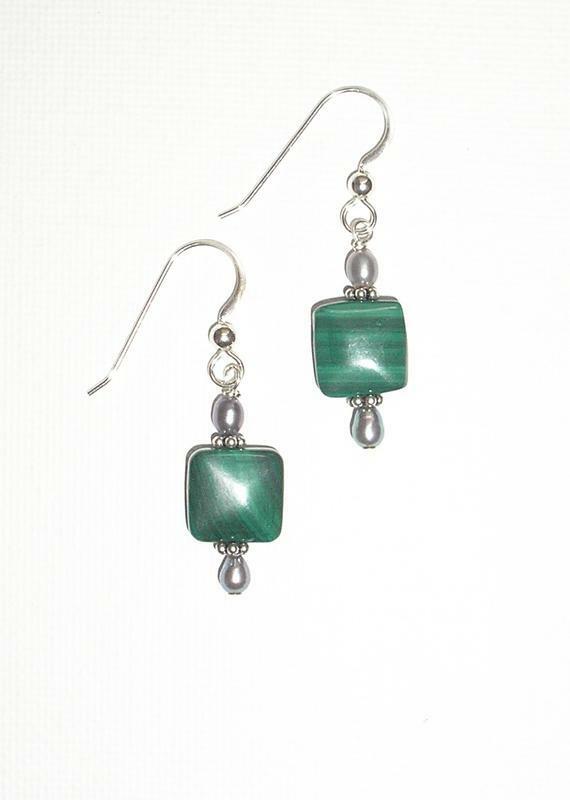 Your pretty green malachite earrings earrings are ready to wear! Make a matching necklace for a complete set.